Owning a horse is a big responsibility and not one to be entered into lightly. A horse owner must pledge a considerable amount of time and effort to looking after their horse and with these pledges also come money, for a horse is an expensive animal to own. Do not be fooled into thinking it is just the initial outlay. Having said that, if you are prepared to spend the time and effort with your horse, spending the money will be a pleasure that follows naturally. If you do not have stables of your own – and most first time horse owners do not – before you even look at a horse for sale you must decide about stabling. Find stables which you like and which you believe give the horses everything they need.You will need to decide how much you are going to do. It is advisable for owners to turn out their own horses rather than just see them periodically, but if time constraints mean you cannot do this, you can have your horse fully liveried. But for this imposition of the stable staff’s time, you will be paying a lot of money, in excess of £100 a week in some places. But of course you can also have them part liveried and attend to your horse morning and evening yourself. You may need holiday cover though, so think about this when you agree a price with the stable owner. You will probably also need to rent grazing land although this may all be covered by your fee to the stable. Food is a big expense for horse owners. Again, some stable owners will offer a package with food included as well, but if this is not the case, you will have to think about buying hay and grain. Of course a horse does eat plenty of grass but it does need more, especially in the winter when there is not much grazing grass left. Ponies too still need a good and varied diet, much like humans, although they do not need as much as fully grown horses. The more you ride a horse the more it will need to eat. The horse, like other living creatures, needs its food for energy. If the horse spends most of its time in a grassy paddock it will need less than if it is kept in a stall. A horse needs regular vet care. It is not enough to only call the vet when he is ill, he must have regular check-ups. This is not cheap. As well as illness treatment, your vet will also vaccinate the horse against tetanus and other diseases. The horse will also need de-worming on a regular basis. 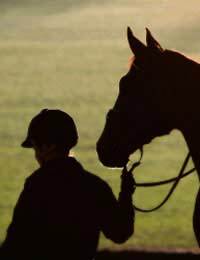 Everyone needs insurance for their horse – it is not just for racehorses. A horse is an investment and you would not dream of not protecting other investments, so why take a chance with this one? There are varying levels of insurance to suit all owners. Some policies will cover medical expenses while some will also cover you for tack and equipment. There are also policies which protect you as owner in the event of your horse dying or becoming so infirm that you are not able to use him. Think carefully about which type of insurance you need and, as with all insurance policies, read the terms carefully and compare quotes. If you plan on riding your horse you need equipment. And there is a lot of equipment. The good news is that if you buy good pieces, you should not need to replace it very often as it will last a long time. The main pieces of tack are saddles and bridles. You will also need all of the accessories such as stirrups, reins, bits and rugs. Then you will need a full set of grooming brushes and plenty of riding clothes, not least of all a hard hat. Horses are expensive to buy and to maintain. But they are a worthwhile way to spend your money as they bring love and friendship to your life. If you are still not sure, you can consider loaning a horse, although that in itself is not cheap. Taking out adequate insurance and doing lots at the stable yourself can help to save money. But if you really want to have a horse as a hobby – almost a way of life – you will find it is rewarding and fulfilling and every penny is worth it.